This part of my site is dedicated to Christian eBook Promo content. View categories in the sidebar to the right. Get yours listed on my daily posts for free, or choose a featured or highlighted package for $1 or $3 respectively. I feel that there are not enough resources to do two things: promote Christian content online and spreading His word in doing so. This page combines both. Under my Technology in Faith category, I will be also working on blog posts that will help you in your journey to publishing your eBook. But, for now, view the Christian Fiction & Nonfiction Bargain & Free eBooks that users like yourself are listing on my site, in addition to those that I have carefully selected from Amazon.com on a daily basis. 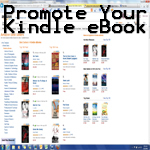 Have your own eBook on Amazon.com to advertise? Add your Free or Bargain eBook now and take advantage of this free Christian Kindle Promo resource. Find all Christian advertising options here. There are a few books and eBooks on Amazon.com that I highly recommend that I call Peter’s Picks. View my Christian Fiction Picks and Christian Nonfiction Picks. What are the top 10 books on Amazon.com? I bring them right to you. View the top ten Christian Fiction eBooks and Christianity eBooks. What It Takes: Messages for Men Moved by God by Lance Cooper. Free on 3-09-17 Confused by mixed messages about what it is to be a man? And as a result you think that women, or money, or prestige, or power, or control will heal your heart or make you feel worthy? Has your heart been damaged by poor decisions or bad relationships? Perhaps you grew up with an absent father and now you are unsure of who you are as a man, or maybe addictions now form your identity and they threaten your life or that of your family? Maybe you have no real picture of how to recover, lower your anxiety, eliminate your anger or be a good man? ‘What It Takes: Messages for Men Moved by God’ is written as a forty day, devotional journey for men. This devotional study takes you deeper into the role of a man in today’s world. It helps you look at who you are becoming and how Jesus can change your heart and lift your spirit. At the end of each week you will be presented with a real man’s story of change and revival. There are twelve stories of real men moved by God to help you find practical answers to your own story and its challenges as you grow as a man – moved by God. – Manhood – what is it? – Who is the real you – the authentic man in you? – What is the best way for a man to relate to a woman? – How is a man’s heart shaped by the influences around him every day? – What’s it like to be challenged in a way that is sincere and real – in a way that helps you grow as a man? – How do you face off against an imperfect world with courage, commitment and sacrifice? – How do you know that you have what it takes? Join us on a crusade to win back the hearts of men and to introduce them to prayer and a relationship with God. Please read the book and share what you discover as you find practical answers to the dramas in your own life and its challenges as you grow as a man – moved by God. You have what it takes … JESUS. What It Takes: Messages for Men Moved by God by Lance Cooper. $4.99 on 12-16-16 Confused by mixed messages? What is a man? How does a man relate to God? Who is the real you – the authentic man in you? Manhood – what is it? What’s it like to be challenged in a way that is sincere and real – in a way that helps you grow as a man? How do you face off against an imperfect world with courage, commitment and sacrifice? How do you know that you have what it takes? These are questions that every man wants to know. Embark on a 40-day journey and read 12 stories of real men moved by God and then find practical answers to your own story and its challenges as you grow as a man – moved by God. The Rapture Misunderstood by Jason E. Royle. Free on 8-13-16 Eschatology is a popular but notoriously difficult area of theological study. The scriptures explain the end of the world with prophecies and symbolism that can be mind-numbing and confusing. If you are searching for an unbiased, uncomplicated overview of the end times, this book is for you. When finished reading it, you will go away better prepared to talk about what you know and what you believe about the end times. GOD Healed Me by Mimi Emmanuel. $1.99 on 6-14-16 This book is dedicated to anyone who is in need of any kind of healing. You can read this book as you would with any other book you pick up, from front to back. Or you can read this book by finding and reading the Scripture verses that apply to your life right now and use these verses to uplift your spirit, and as inspiration for a better life. A life filled with hope and encouragement and better still, a life filled with promises from the Bible, promises that come true. Moses tells us that God fulfilled all the promises he made to his people (Joshua 23:14). Jesus tells us to have faith, always pray and never faint (Luke 18:1-8) and that GOD always hears us (John 11:42). That has been my experience too. Try it out and I can near enough guarantee that you’ll be very pleasantly surprised! It is my sincere wish and prayer that you may find health, and healing, and the peace and joy which comes from the knowledge that GOD is always in charge.